Not bad, right? Since we don’t make it up to the farm every weekend, we knew we needed a watering solution to keep the ground around the new plantings moist. After some extensive research, Brian came across Ooze Tubes on the Arbor Day Foundation website. 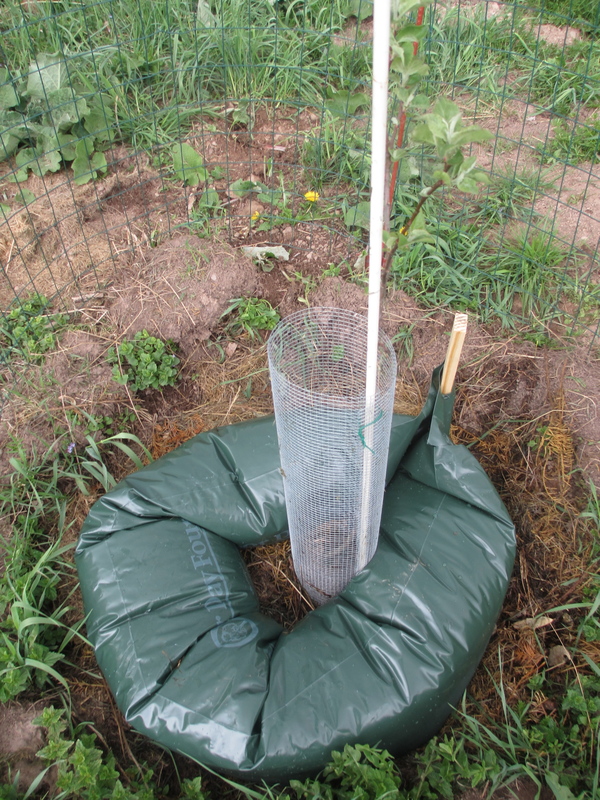 The long plastic tubes can be filled with up to 15 gallons of water each. An adjustable dip gauge allows you to control the flow of water that comes out, allowing each one to last up to four weeks. The tubes are pretty easy to install, but very fragile. We accidentally punctured a hole in one of them, but the remaining four are currently in place and hopefully working well. I guess we’ll find out in a few weeks when we make it back up to check on them! 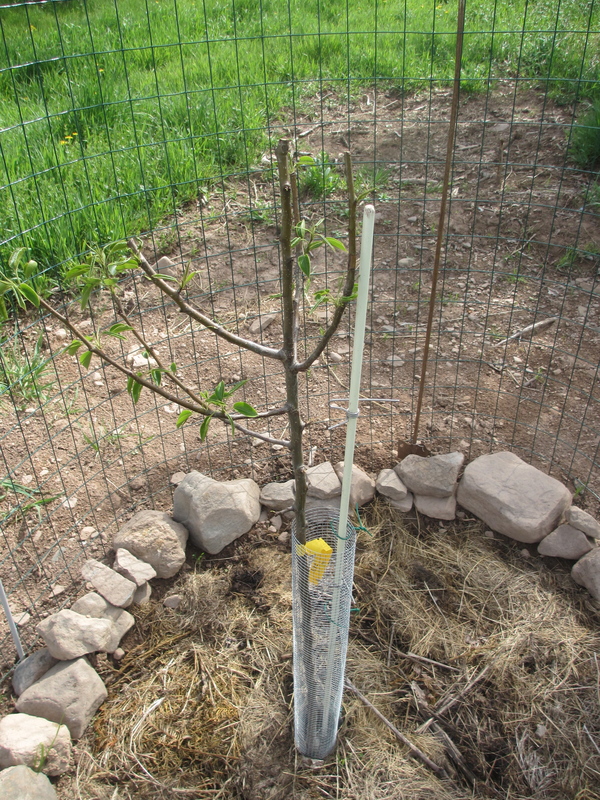 This entry was posted in On the Farm and tagged @SWWUblog, apple tree planting, Arbor Day Foundation, gardening, home projects, landscaping, On the Farm, Ooze Tubes, pear tree planting, tree watering by Something We Whipped Up. Bookmark the permalink. The Ooze Tubes are nice.